Democracy and its underlying fundamental rights are in decline in Europe. In recent years, more and more right-wing populist parties and leaders are taking over governments and dismantling the democratic constitutional state - even in the so-called "consolidated" democracies. They increasingly restrict the freedom of the people living in Europe and shake European unity. Our partnership around the European Democracy Network (EDN) supports, empowers and links activists who stand against the erosion of democracy, the rise of nationalism and white supremacy, as well as the shrinking of civic spaces. Democracy, fundamental rights and the freedom of people to organize, participate and communicate with each other freely to influence political and social structures (the civic space) have always been under stress in Europe and its direct neighboring countries. In recent years, however, dramatic developments are eroding or challenging them fundamentally and the whole European continent is affected. The separation of powers, independent jurisdiction and media, and fundamental rights such as free speech or freedom of assembly are all under threat. These developments are galloping at a fast pace in Poland, Hungary and Turkey and are driven by governments and leaders who apply nationalistic rhetoric, transform citizenship education to nationalism and foster a belief in the supremacy of their nation or culture to manipulate public opinion and mobilize large parts of society. The European idea is pictured as a threat to assumed traditional and homogeneous cultural values and as neo-colonial imperialism within Europe. This not only excludes and discriminates against those stigmatized as “others” but has already seen people being threatened, arrested and disenfranchized for political reasons and liberal thinking. At the same time, in France, Germany, Austria and Denmark, to name only a few, but also at the EU level, individuals, groups and parties applying a similar rhetoric and strategy are gaining increasing parliamentarian and governing power. Here too, democracy and fundamental rights, some of which were always partially flawed in letter or application, are now again visibly threatened and the persisting democratic deficits in these countries provide a fertile soil for their further erosion. In France, the emergency state is becoming to a considerable extent constitutional normality, in Austria the freedom of communication is being restricted for refugees, in Denmark license plate scanners have been introduced at borders to control free movement and in Germany 92 nationalists entered the parliament and set forth to “save” the German nation and culture. 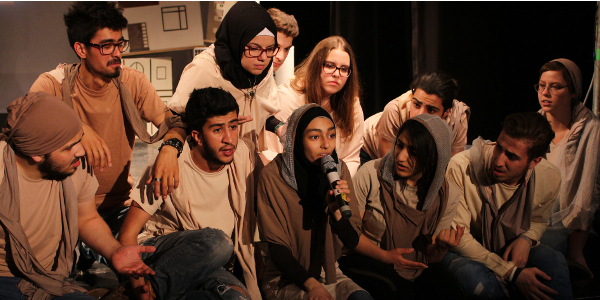 The mobilization against marginalized groups – women, Black People and People of Colour, LGBTI*Q people, Roma people, refugees and migrants – is fully unfolding across Europe, also shrinking the space of those who advocate for these groups. And tightened security and anti-terror laws provide open doors to further dismantle democracy, fundamental rights and the civic space. Hence, we are experiencing a European-wide phenomenon and pointing the finger from West to East ignores the described developments in the established democracies and fuels anti-European and nationalistic discourses across Europe. 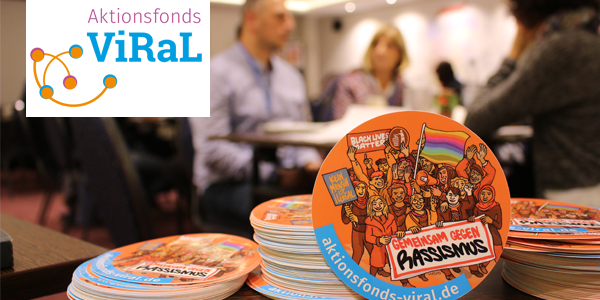 "In this context, we believe it is necessary to network, to support and satisfy the needs of activists and initiatives who are under threat and who stand up against nationalism and the erosion of democracy, fundamental rights and the civic space – on the streets and in the classroom", says Martin Wilhelm, CEO of CFE. We see ourselves as a network of civil society self-defense. 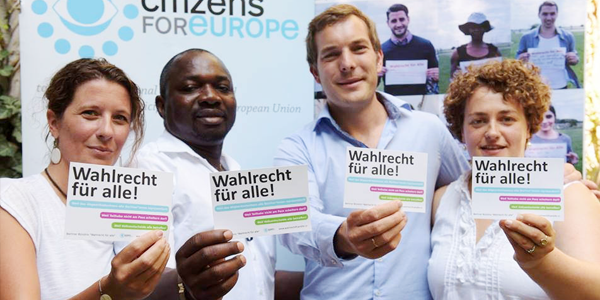 The European Democracy Network brings together activists and watchdogs, from the European political organization "NytEuropa" from Denmark to the anti-corruption "Hungarian Civil Liberties Union" to the activists' group Obywatele RP from Poland, who practice civil disobedience in government decisions that threaten the rule of law. We are united by the idea that we can only exist in international solidarity in order to counter the internationally networked opponents of the new Right. We work for our common values: the rule of law, freedom of speech and the press, freedom of assembly, equal rights and the recognition of diversity. We generate and exchange knowledge in a comparative manner on how the process of eroding democracies in Europe is legally, politically, medially and socially unfolding in order to allow for the development of strategies to counter these developments. The network is open to other organizations and wants to expand continuously. 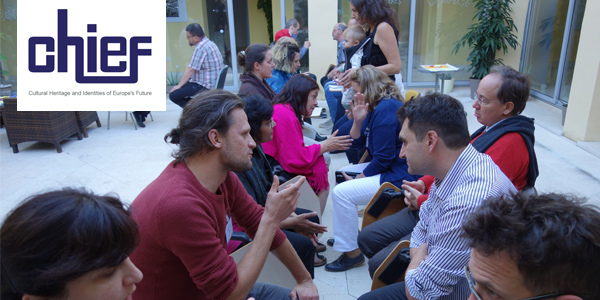 The core activities of EDN are workshops that include 16 activists, two from the partner countries and another four persons from outside the partnership, e.g. Turley, Italy, Austria or Romania. These two-full day workshops are about networking and empowering these activists transnationally, to support them in standing against the erosion of democracy and fundamental rights, against the rise of nationalism and white supremacism and the shrinking of civic spaces. In these workshops, the activists learn from each other and improve, develop their skills and abilities, for example in the field of areas such as secure communication and data security, campaign management, non-violent civil disobedience, legal resistance and stress handling. We are also organizing a series of international "Citizen Dialogues" in the participating countries to bring together a European public, the media and politics in civil dialogues, in order to enlighten, understand and influence society broadly. 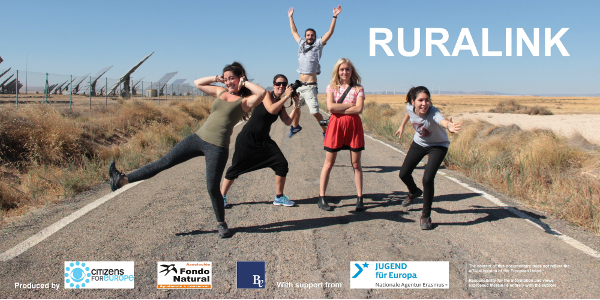 These events are also the opportunity for local people to meet and exchange with a group of international activists, to get to know their countries' specific context, to experience the European dimension of their own engagement and battle as well as to exchange perspectives, opinions and visions on European topics. On January 28th and 29th, 2019, the kick-off meeting of the project took place at the Centre Marc Bloch in Berlin, bringing together the representatives of our 7 partner organisations from Czech Republic, Denmark, France, Hungary, Poland and Germany. During two days, we co-designed the project objectives, activities and timeline. Read the blogpost here and get to know more about our project partners. 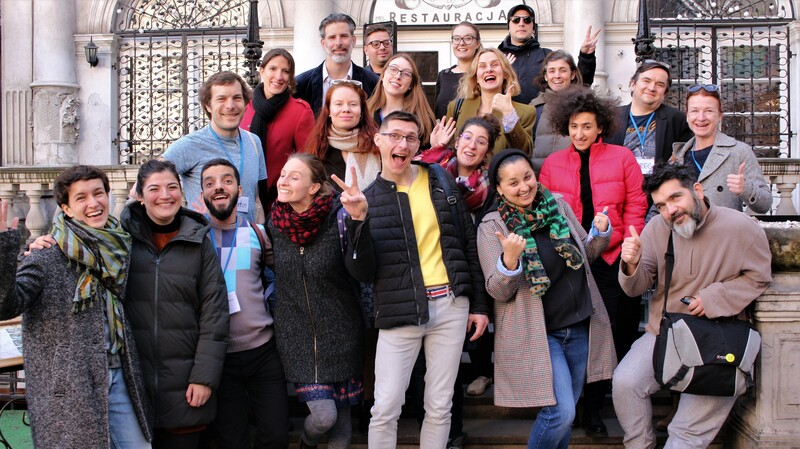 The selected activists met for the first time in Warsaw (Poland) on 22, 23 and 24 March 2019 together with the EDN partner organisations. During the three days meeting, they got to know each other, exchange about their experiences as activists in Hungary, Poland, Czech Republic, France, Turkey, Slovakia, Denmark and Germany. And the participants co-designed the future of the network, its activities and how do they want it to empower them. They also had the opportunity to meet Klementyna Suchanow, Polish author and political activist, who presented the neo-conservative movements in Europe and the backlash on human rights it brings. 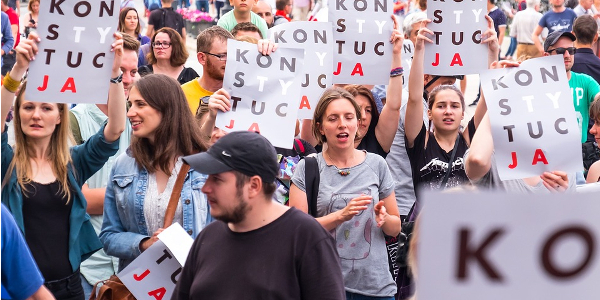 The activists also did their first spontaneous action, a flashmob at an event gathering polish candidates at the election of the European Parliament and took part in an open space gathering different activist groups both from Poland and across Europe. Read more about this three-days meeting and watch the videos of the flashmob and open space here.